A scandalous video has been published appearing to show Governor Umar Ganduje pocketing a vast wards of American dollars in what was said to be bribe payments from public works contractors. The Kano State governor could be seen collecting the dollars before rolling them into his white dress, “babanriga,” in one of a series of questionable deals allegeldly struck over a span of several months. In the only video published so far, the governor appeared to have received $230,000. All the cash was hastily stashed in his “babanriga,” a native attire common amongst men of northern Nigerian origin. Daily Nigerian said the $230,000 was part of a series of cash advancement to the governor in a total bribery deal of $5 million. The published version was uploaded without audio, apparently to conceal the identify of the contractors from the public. While Mr Ganduje would readily know those with whom he carried out the exposed deal, the contractors believed their safety would be better guaranteed if their personal identities that could otherwise be obtained from their voices in the video are stripped off. PREMIUM TIMES saw the version of the clip with audio on Sunday evening. A brief laughter then erupted amongst them. The video was reportedly shot in one of the living rooms at the governor’s official residence in Kano, the state capital. “MD will soon be back from Istanbul on Friday evening to give us the other allocations,” the contractor added after telling the governor he had concealed a total of $230,000 in his babanriga for the day’s transaction. The governor and the contractors also discussed carrying state lawmakers along in the deal, especially on how cash and stalls would be shared to them in the deal for the construction of a market. The governor is said to have received up to N750 million (about 25 percent) in a deal of over N3 billion with a single contractor. Mr Ganduje has denied any wrongdoing. Daily Nigerian said it embarked on the reporting after receiving a slew of complaints from contractors who said the governor regularly engaged in shakedowns before awarding public projects. Mr Ganduje strongly denied being the one in the video, calling the publisher a blackmailer and ordering the state attorney-general to commence criminal investigation and possible prosecution. Jafaar Jafaar, an Abuja-based journalist and publisher of Daily Nigerian, told PREMIUM TIMES he has decided to take cover with his family following relentless threats to their safety. 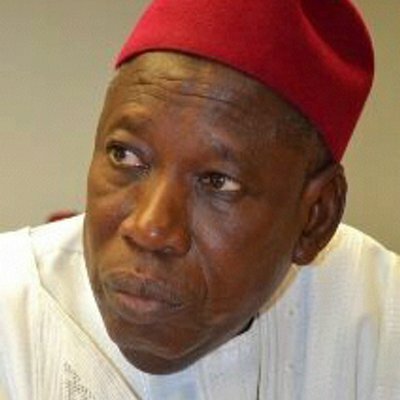 Foremost rights group, Amnesty International, and the New York-based Committee to Protect Journalists have both expressed grim worries about Mr Jafaar’s safety, calling on both the Kano State governor and the Nigerian government to ensure neither the journalist nor his family faced any debilitating backlash as a result of his journalism. President Muhammadu Buhari has ordered a thorough investigation after being shown the video by law enforcement authorities, Daily Nigerian reported. The presidency is yet to make an official statement on the video. However, even if found culpable after investigation by anti-corruption agencies, Mr Ganduje, as governor, enjoys constitutional immunity from prosecution. Mr Ganduje, 68, was elected governor as part of the wave that swept the then-opposition All Progressives Congress into power. Like other APC politicians, in a mantra spearheaded by Mr Buhari, the Kano governor often lays claim to own frugal nature and incorruptibility. Mr Ganduje’s video comes about five years after a video of a federal lawmaker from Kano was also made. Farouk Lawan was leading a House of Representatives panel investigating illicit fuel subsidiary payments in 2012 when he was said to have received about $500,000 dollars in bribes from an oil magnate. Mr Lawan, widely seen as a rising political star at the time, was seen receiving the cash from businessman Femi Otedola in the manner of Mr Ganduje. Unlike Mr Ganduje, Mr Lawan acknowledged authenticity of the video, but said he was trying to use it to bait Mr Otedola and that federal authorities were informed beforehand. Mr Otedola denied the claim, saying he was the one who set up the sting operation to expose Mr Lawan and his committee members who were demanding bribes from him even though his oil firm was not involved in any wrongdoing. Mr Lawan, who was first elected to the federal parliament in 1999, did not return in 2015, and the case is currently proceeding in court.